Posting on Facebook is an art – The art on timing. Simply put, there are some periods in the week when people are more active, but you have to find the sweet spot for your business yourself. 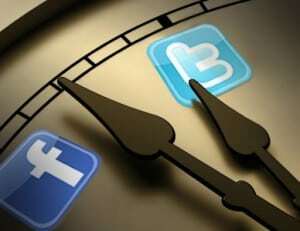 This is the time when your target group is on Facebook. For example: if your target audience is teachers, it makes no sense to post during school hours, they just won’t be on Facebook at this time. So you are better off posting after the school day. Now you understand how important it is to know your target audience if you want to get the best results. But what to do if you don’t know when your target audience is on Facebook? Test and Experiment with the help of Facebook Insights. Start by posting at various times during the week. Limit yourself to 1 post per day though(2 if you have to) so you don’t wear out your audience. Then after couple of weeks or so use Facebook Insights to analyze your data to see which times and days your posts generate the most “likes” and comments. As you can see the first half of the week, especially Mondays work pretty good for us. What if I’m too lazy to experiment? Kissmetrics used the data from Dan Zarrella and found out that Saturday is the overall best day to post on Facebook. Tip: Experiment and be a bit skeptical when using this data. For example sometimes I get the most engagement on Sunday which Vitrue says is the least active day in the week. Engagement of your posts varies by industry. BuddyMedia found that the businesses in the entertainment industry should post on the weekend, while fashion, healthcare and beauty companies should post on Thursday for best engagement. Always be testing to find out the perfect posting time for your business!